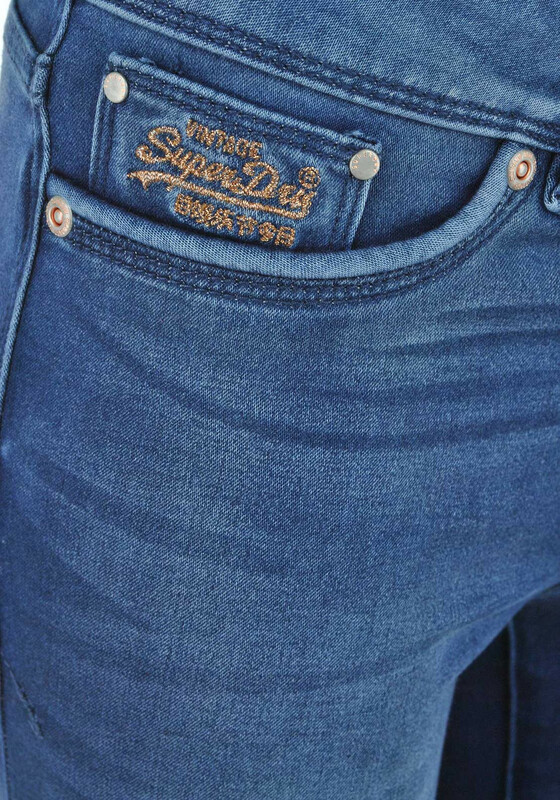 A stunningly stylish pair of super skinny jeans from Superdry in blue. 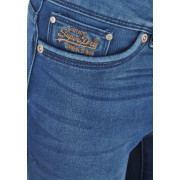 This great stretch pair has a funky faded look on the leg with whiskers on the thigh and classic Superdry branded on the embroidered coin pocket, back pocket and rear tag. They have a zip and button front fastening and are so comfortable that they will feel like a second skin.